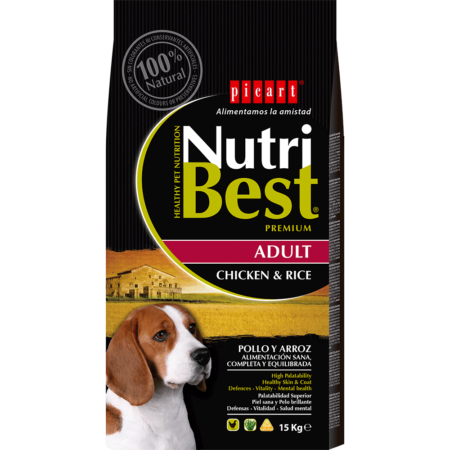 Older dogs senior need a special diet adapted to their needs: care for their joints, weight control, and vitamins and minerals to look after for their health. 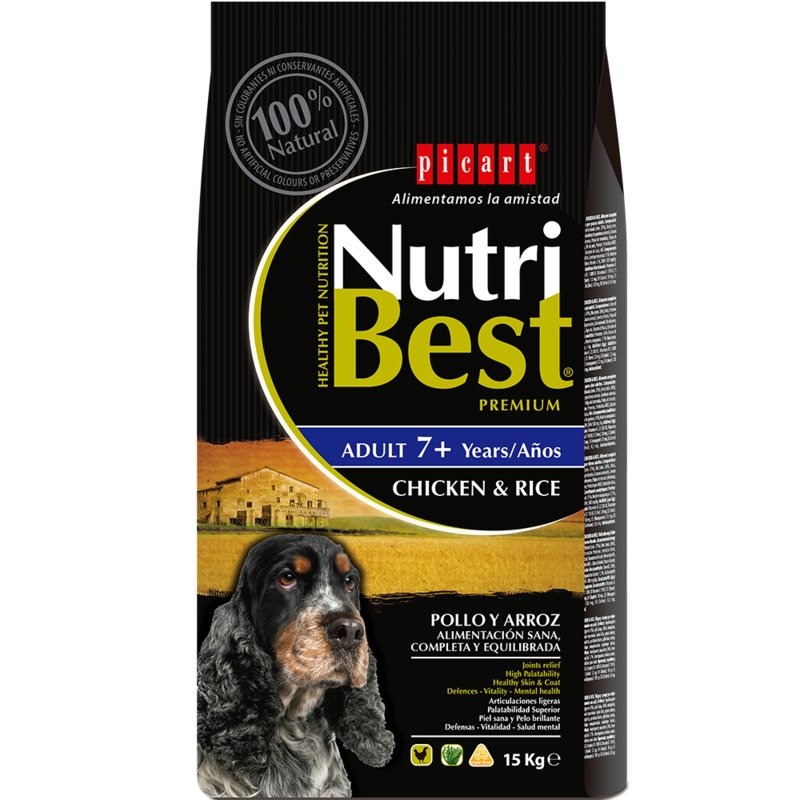 NutriBest Adult 7+ years is a Premium pet-food especially devised by our experts in nutrition and vets so that your dog enjoys optimum health levels. It contains Marine Algae from the North Atlantic for healthy and cared for coat and skin. 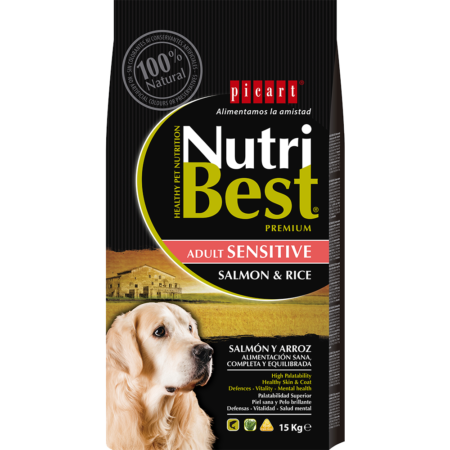 It has a low content in fats and is rich in vitamins to favour the health of older dogs. 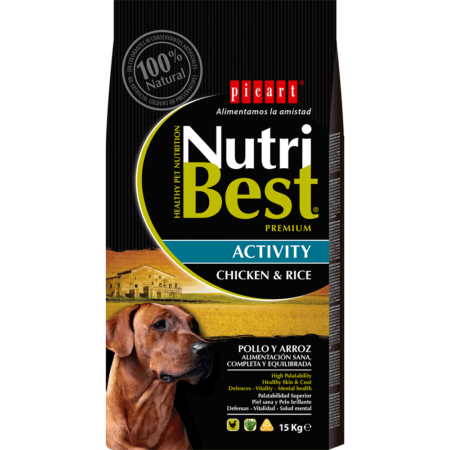 Brewer’s Yeast, rich in vitamins from the B Group, aids to regulate the metabolism and the production of blood glucose to increase your pup’s energy and vitality. 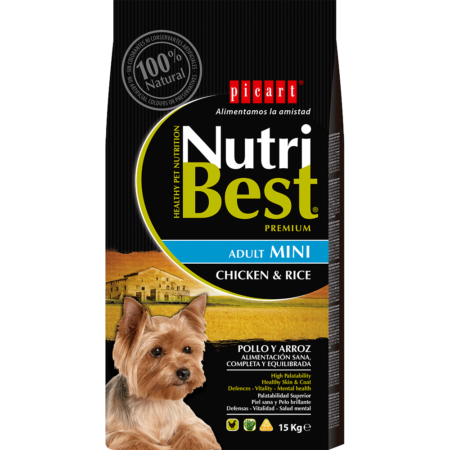 Meat and animal by-products (25%) (minimum 4% chicken meal); Wheat; Maize; Wheat middlings; Soia; Carob; Rice (minimum 4%); Oils and fats (minimum 0.5% fish oil); Yeasts (minimum 1% brewer’s yeast); Beet Pulp; Algae (minimum 0.5%); Minerals; Prebiotic MOS; Yucca extract. Crude protein: 24%, Oils and fats: 8%, Inorganic matter: 8%, Crude fibres: 3.5%.